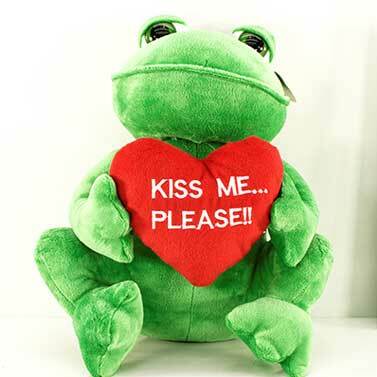 A frog with a message. You can order a bottle of wine or two or even more gifts without any further shipping costs to make this gift unique. Get your message out! 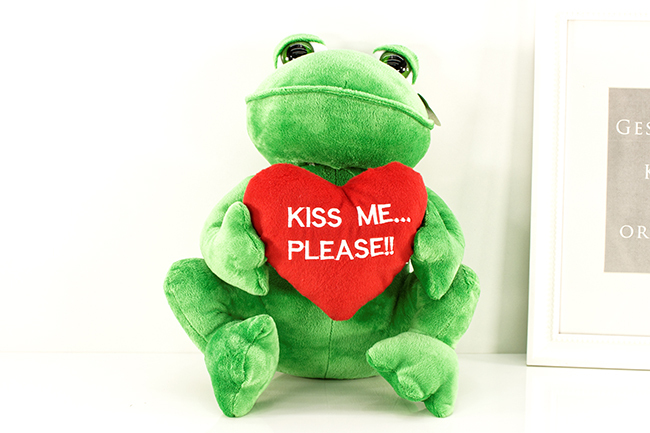 Plush Frog Kiss me please!